Wrote and posted my review of Death and the Girl Next Door by Darynda Jones. I finished reading, wrote and posted my review of Black Swan Green by David Mitchell. Read and reviewed Serial Summer by Angel Lawson. Torched by Andrea Lynn Colt was read and posted about. I was unable to read Cloud Atlas, The Candidates, C I N, or Crashing Eden. Sometimes I have to change up what I am reading and have to push things back. My review for C I N is due next Friday, so I will get than one in for sure. Top Ten Tuesday: Santa’s Got a Brand New Bag (of Tricks). This is a mash-up of what books I want for Christmas, even if they won’t be out until 2013. Songs of the Week 12.8.2012 reflect what I heard the previous night at a middle school social. Videos are included in case you aren’t familiar with the song. Angel Lawson has her sequel to Wraith coming out on Tuesday, December 11th. 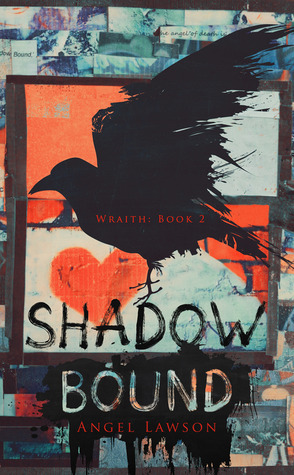 I am posting a review of Shadow Bound on Monday the 10th. Tuesday will be my third installment of INKlings. I am posting an interview of the author of Wraith, et al., Angel Lawson. Stop by and find out about this author and her books that I have reviewed here on Ink and Page. Spoiler alert: they are very good. Tuesday’s INKlings post will also be a giveaway! Check it out. It will be open for a week. I picked up Darynda Jones’ Fourth Grave Beneath My Feet from the library. It was finally in after I’ve been on the waiting list for what seems like years. This adult paranormal romance series is one of my favorites. I finished it last week and will be posting a review sometime this week. While I was getting the aforementioned Jones book from the library, I saw a book by Louis Sachar called The Cardturner that sounded super interesting, dammit. I am trying to finish all of my indie pubs before the end of the year, and I ain’t gonna be able to do it if I’m picking up strays. I gave myself a week off from writing after finishing (WINNING!) NaNoWriMo. Now I need to finish the last half of my manuscript. Is it weird or unusual that the dreams I had while writing the book during November were more vivid, abundant and relating to my story? Has anyone else experienced this? Have a great week and Happy Hanukkah to everyone celebrating! Leave me a comment with your link. Peace (on earth) out! Yay, for your NaNo WIN!! Shadow Bound looks interesting! Thank you! I am very excited. Lots more to do, of course. Yes, Shadow Bound should be great, if her other 3 books are any indication! Come by on Tuesday (or Wednesday, haven’t decided yet) to enter in the drawing for a free copy! It’s read. That series doesn’t sit around unread very long at my house. I could have sworn that I already read it, but was thrilled to find out that I hadn’t! Congrats on your win. Happy reading. Thanks! You, too. 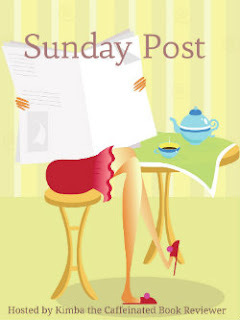 Thanks for the link to your Sunday Post.